Care Opinion is a Sheffield-based social enterprise. It is the UK’s leading independent non-profit feedback platform for health services. Care Opinion works because health care organisations are able to easily hear this feedback and share it across staff. When organisations work with Care Opinion, their staff are alerted to relevant feedback, respond, resolving issues in real-time and showing when they make improvements in care. 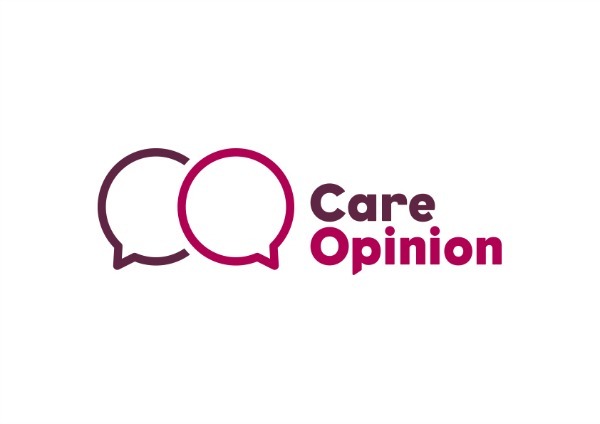 Care Opinion in 2 minutes from CareOpinion on Vimeo. Care Opinion also enables socially disadvantaged groups to feed back when their voice may not ordinarily be heard, or they might not be aware of how to give their feedback due to lack of awareness and opportunity to do so. In the last new year features on Care Opinion has further increased the online engagement of people who are more socially disadvantaged through platform developments. Focus on ensuring those that have either learning disability or are socially disadvantaged are able to provide feedback; to achieve this care Opinion has made various improvements to the platform to encourage usage by these groups either through online improvements or by allowing feedback to be submitted by non -digital means. In the last year Care Opinion has placed a monetary calculation of the donation of time it makes by providing services for free to NHS provider organisations – this has been calculated to be £35,000. Story volumes and numbers of stories continue to rise. We are also now beginning to use financial valuations in certain areas to consider value given. To date Care Opinion has 295,000 stories and over almost 8,000 staff listening and learning from those stories. Location wise Care Opinion covers the entire UK and has locations in Stirling and Sheffield. Care Opinion helps people, particularly those disadvantaged, to feel they are being heard. This is an intangible and also invaluable consequence of the service. Care Opinion also helps raise morale with NHS staff and helps reduce complaints, costs of complaints are significant and in 2012 the average cost of an NHS complaint was estimated to be £6,000. Care Opinion has been proven to reduce clinical staff time in dealing with admin and complaints. Care Opinion annually dedicates time to providing a basic level of free service to all NHS organisations – this has been costed to reflect that care Opinion annually donates time services valued at circa 35k to the NHS. 8) What social and environmental benefits have you created from internal operational policies and actions? Financial investment isn’t quantified at this stage.